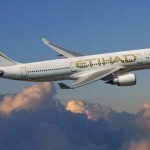 Etihad Airways promotion code 2019 - 15% discount all flights! Air France promo sale: Non-stop from Paris to Worldwide destinations from €280! Etihad Airways promotion code 2019 – 15% discount all flights! Another great way to save some decent money! This time you may save up to 15% off your booking using this Etihad Airways discount code! Althought this carrier with its HQ in Abu Dhabi is a young airline (establish in 2003) it belongs to top ranked airlines in the world. If you consider to use their premium service you may now easily save using below 15% voucher code wtih 5* Etihad Airways. We have personally test it and it should work from the United Kingdom and Ireland, Germany. France, Spain, Italy, Netherlands or Switzerland to most of the destinations such as Thailand, India, China, Japan, Malaysia. South Africa as well as to Australia or New Zealand. All flights have to be on Etihad Airways. (No codehsare). This latest Etihad Airways promotion code works for flights in travel period from May till August 2019. All bookings must be completed by 15th of April. As mentioned the latest date you can use this voucher code is 15th of April 2019. Travel period is then for Economy class from 1st of May to end of July. Business class from 1st of July to 31st of August 2019. Also you may check latest Etihad Airways promotional deals here. This Etihad Airways promo code works to any destination within the network of the airline. (no codeshare flights). The 15% discount calcullate off base fare. (excluding taxes and fees also as per our below booking sample). We have however not managed to find what is the validity of this latest Etihad promo code…Book your discounted Etihad flights to destinations such as Bangkok, Phuket, Kuala Lumpur, Singapore, Beijing. Tokyo, Sydney. Melbourne, Mumbai, New Delhi, Kathmandu, New Delhi and more. Booking sample of successfully applies Etihad Airways promotion code 2019 below. In this case you would be flying from London to Sydney. Outbound from Europe on 26th of May 2019. You would return on 12th of June 2019. You would easily save £106 off your Etihad flight just by using this free discount code. Your total costs for a round trip flight from UK to Australia would be £420.84.